Inspired by a Book for the #31DC2017Weekly - Polish Etc. I am still trying to catch up on the challenge. Kudos to everyone that has been keep up this entire time! My partner, Lotte, has kept on track and I am envious. 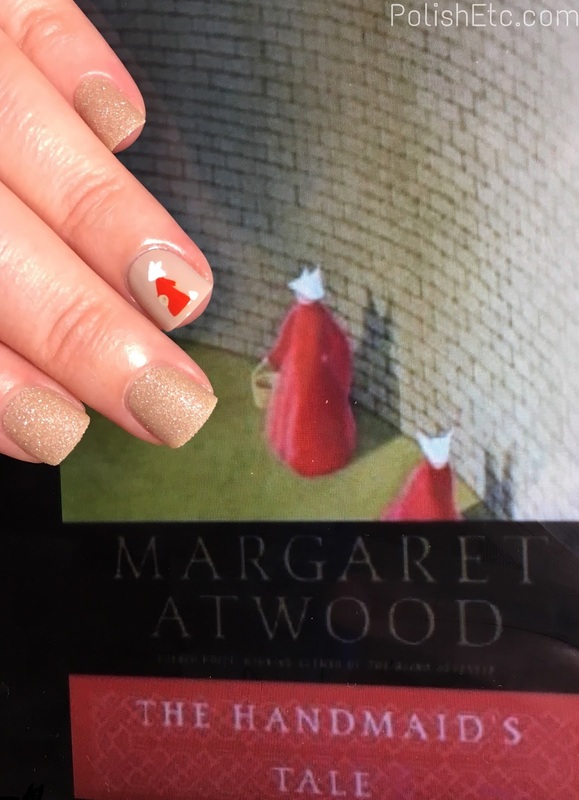 For the Inspired by a Book prompt, I have done my worst nail art yet. 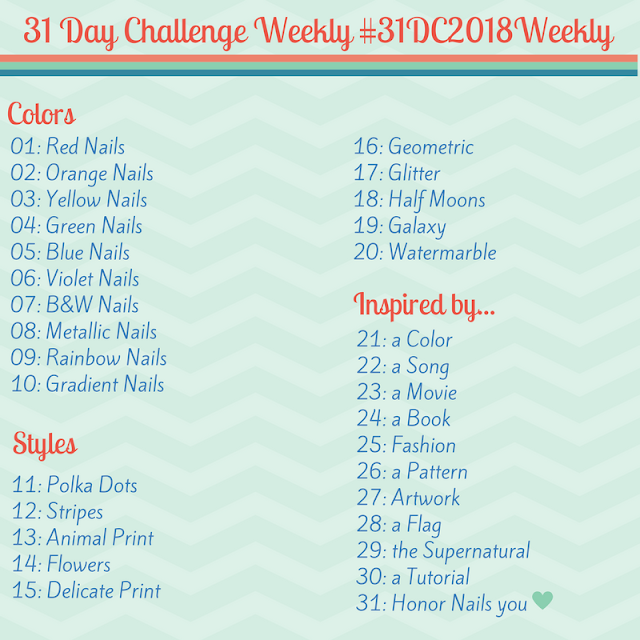 Be prepared for nail fail in this post. I tried several attempts at creating a look inspired by the book "The Handmaid's Tale" by Margaret Atwood which all ended in disaster. So I ended up going very simple and my look is not impressive at all. But hey...I got them done and that's what counts. 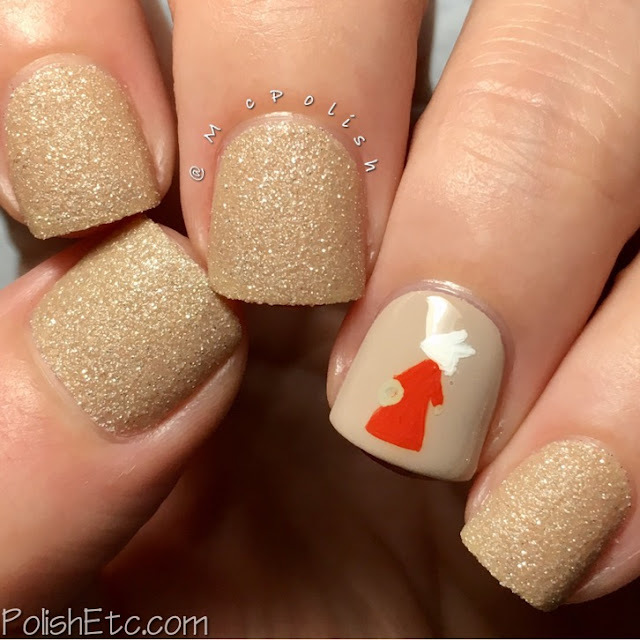 I paired Zoya's Godiva with a simple accent nail. The base of my accent nail is Zoya's Farah. Then I poorly hand painted a simplistic handmaid's figure using acrylic paints and topped it off with top coat. Like I said before, very simple here. I read this book years ago when I was in college. It was a favorite of mine. So it is cool to see it get more hype these days because of the Hulu show. Have you read this classic?